The antimetastatic activity of combined or individual administration of topotecan and tyrosyl-DNA phosphodiesterase 1 (Tdp1) inhibitor was examined under various administration schedules in mice with Lewis lung carcinoma modeled by intravenous injection of 200,000 clone/mouse. 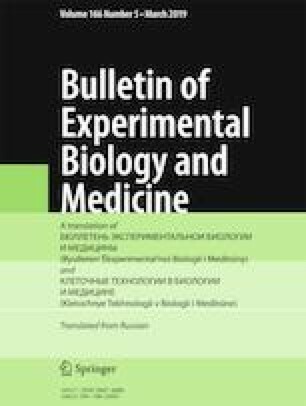 The greatest antimetastatic effect was observed after combined use of topotecan and Tdp1 inhibitor as documented by macroscopic study of the lungs that revealed the decreased metastatic scores by 76, 91, or 74% at the respective inhibitor doses of 2, 4, or 6 mg/mouse, respectively, in parallel with inhibition of metastasis up to 98% (at inhibitor dose of 4 mg/mouse) and morphological and morphometric analyses of the lung sections, which revealed elevation of metastasis growth delay index to 86 and 63% at the respective inhibitor doses of 4 and 6 mg/mouse, respectively. The combined administration of topotecan and Tdp1 inhibitor is viewed as the most effective way to eliminate the metastatic formations with possible restitution of focal lesions.